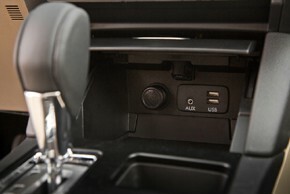 Adapter for USB and AUX signal, replacing the original plug in a car using an aftermarket (later) installed on the car radio. Subaru Outback IV. (3 / 2015->). - Allows you to connect your USB / JACK 3.5mm / iPod / iPhone. - Adapter can be installed in place of the original USB / JACK. - Allows you to play audio and video signal * (* if supported by the installed car stereo or AV unit). 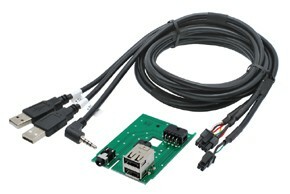 - Connectors to the installed car radios or navigation: USB / JACK 3.5mm 4-pole (audio + video). - Cable length 1 m.
Delivery does not include a box or front panel USB box! Install in place of the original USB / jack connector.